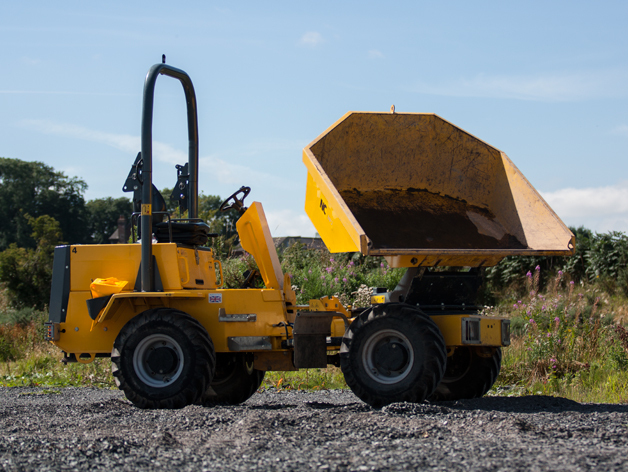 Swivel Skip Dumpers give the advantage of a 180 degree swivel, allowing discharge of the skip into inaccessible areas. Well matched to work with 3.5 Ton diggers. 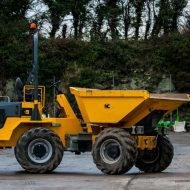 The hydrostatic drive ensures smooth operation. Be sure to consider the operators manual before use .Prepare the site, if necessary use barriers and inform by standers.